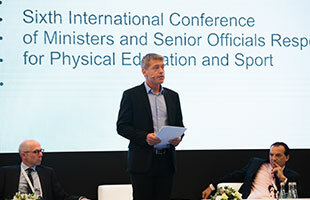 Michael Pedersen moderated the expert panel session on sport integrity at Sixth International Conference of Ministers and Senior Officials Responsible for Physical Education and Sport (MINEPS VI). 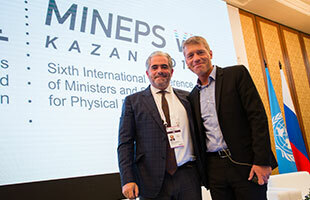 MINEPS VI took place in Kazan, Russian Federation from 13-15 July 2017. 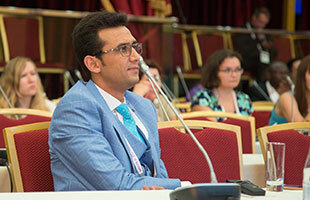 The Conference brought together international delegates from approx. 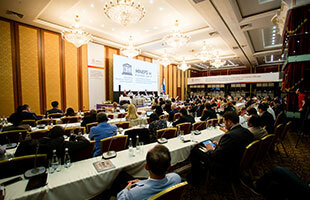 100 UNESCO member states, including sport ministers, senior government officials and representatives from the sport movement. Brendan Schwab, Executive Director, World Players Association. 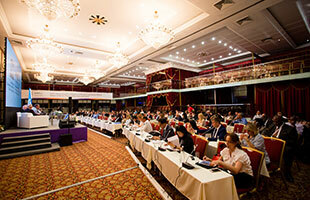 Stephan Fox, President, Alliance of Independent Recognized Members of Sport. 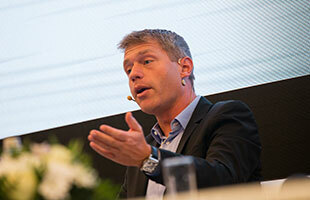 Jens Sejer Andersen, International Director, Play the Game. 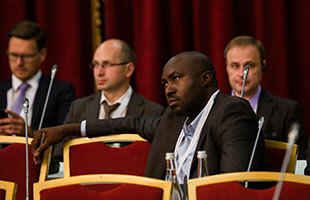 Emanuel Macedo de Medeiros, CEO of ICSS Europe and ICSS Latin America and Coordinator, Sport Integrity Global Alliance. Rene Bouchard, Senior Advisor on government relations, World Anti-Doping Agency. 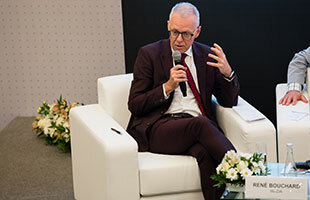 In his opening remarks, Michael Pedersen emphasized that governments are both part of the sport integrity problem and its solution. 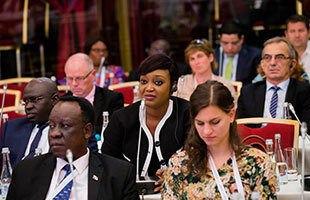 At the same time, he acknowledged that individual governments are taking initiatives at a national level and specifically recognized the intergovernmental leadership of UNESCO, G20 and the Commonwealth Secretariat. 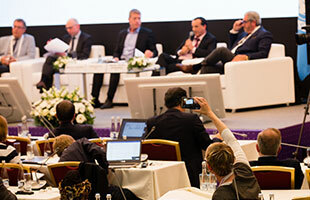 Last but not least, Michael made the points that sport integrity is increasingly being viewed as strategically urgent and important and that issue specific and cross-cutting initiatives are being launched to an unprecedented extent – across sports, countries, regions and stakeholder groups. 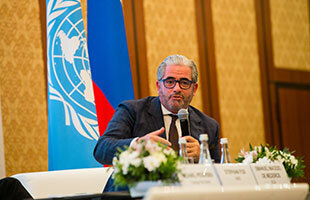 Brendan Schwab emphasized, among other points, that major global businesses and international sport organizations have a duty to respect human rights in accordance with the United Nations Guiding Principles on Business and Human Rights. On this basis, he made the case that major international sport organizations must develop a binding and comprehensive human rights policy, which is in tune to the salient human rights risks they cause, contribute to or are associated with. According to Brendan, such a policy has two immediate implications. 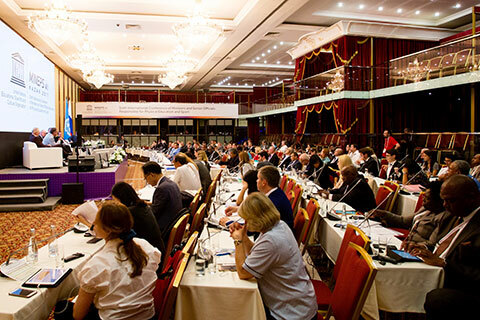 First, major international sport organizations must act proactively to identify human rights risks and take action to mitigate and prevent them. Where needed, those who have had their human rights violated must also be able to access an effective remedy. 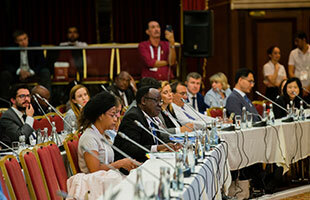 Finally, major international sport organizations must embrace stakeholder engagement and transparency in their actions, by communicating publicly and engaging genuinely with the representatives of those affected by them to ensure that their human rights are respected and upheld. 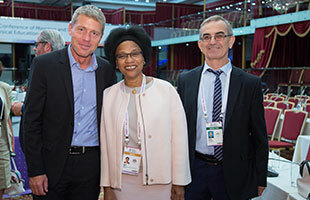 Stephan Fox stated, among other points, that child protection in sport is of utmost importance, not least as a measure to ensure that the engagement of any child in any sport at any level is a positive experience. On this basis, he made the point that all sport organizations need to have effective child protection policies, practices and procedures in place, including measures to report, investigate and deal with each and every incident of child abuse. Furthermore, Stephan clarified that two related aspects of child protection require attention. On one hand, child protection is about ensuring that all children are safeguarded from abuse, violence, exploitation and neglect in sport. On the other hand, it is about protecting the individuals who are identified as being at risk or have already abused. 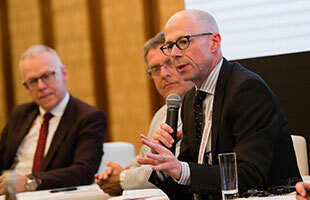 Jens Sejer Andersen highlighted, among other points, that a solid foundation of good governance is the prerequisite for solving any sport integrity issue. 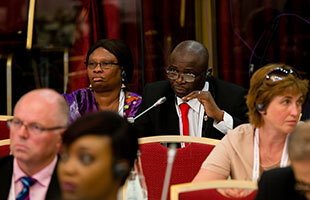 With a reference to Play the Game’s Sports Governance Observer, which is a tool for benchmarking governance standards of national and international sport organizations, he defined sport governance along the lines of four dimensions; transparency, democracy, internal and external accountability and societal responsibility. 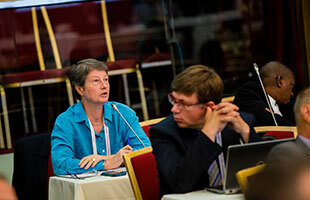 While emphasizing that the push for governance modernization needs to come both from within and from without sport organizations, Jens called for international negotiations between governments, sport organizations and other relevant stakeholders with a view to defining binding sport governance standards. 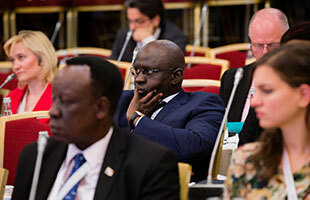 He applauded an increasing number of governments for starting to put in place measures to uphold the rule of law, including ensuring that sport organizations’ use of public funding is transparently accounted for. Jens Sejer Andersen also stressed the importance and urgency in utilizing the window of opportunity that the current reform momentum offers. 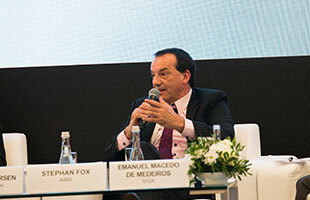 Emanuel Macedo de Medeiros emphasized, among other points, that the world of sport is facing an unprecedented reputational crisis; partly because it has become an easy target for unscrupulous individuals and criminals and because it does not have the means, resources and jurisdiction to tackle integrity related issues such as corruption, match-fixing and tax evasion; partly because many sport organizations are still in a state of denial and because governments in general are reluctant to prioritize sport integrity. 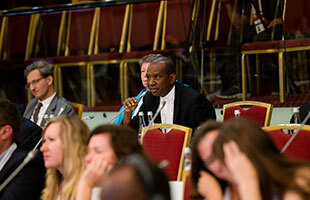 On the basis of these observations, he stressed that the need for a Sport Integrity Global Alliance is greater than ever - an independent, neutral and multi-stakeholder global organisation, capable of providing global leadership, promoting good governance and safeguarding the integrity of sport through the adoption, implementation and monitoring of a set of Core Principles and universal standards in the areas of good governance, financial integrity, sports betting integrity and youth protection. Rene Bouchard stated, among other points, that efforts are ongoing to make the global anti-doping system even more robust in ensuring that athletes compete in a doping-free environment. 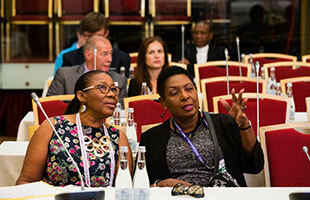 The way to get there is through stakeholder collaboration and by using available tools in the best possible way; including for instance research, education, legislative frameworks and World Anti-Doping Code compliance monitoring measures such as audits, capacity building, deterrence, whistleblowing and investigations. He also made the point that a critical challenge in taking the fight against doping to the next level is ensuring substantially increased anti-doping funding. 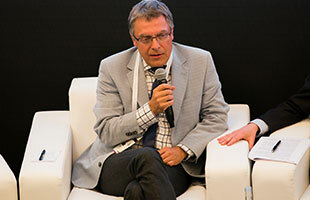 Last but not least, Rene emphasized that in the process of unifying sport integrity standards and principles, it is of utmost importance to avoid the temptation of focusing on the lowest common denominators and instead ensuring that common standards and principles become highly ambitious. 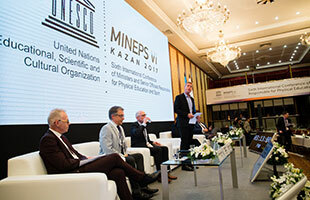 At the end of the expert panel session, the Kazan Action Plan was discussed with a particular focus on sport integrity. 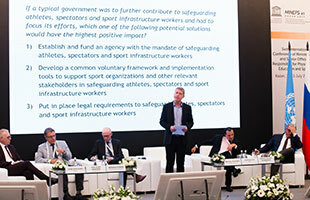 In setting the scene for the discussion, Michael Pedersen offered perspectives from his participation in two UNESCO led expert working groups that prepared the sport integrity related input for the development of the Plan. 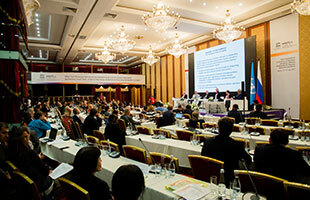 He highlighted that the Action Plan is noteworthy in at least three particular ways. First of all, the Plan is an attempt to translate policy intent into measurable implementation. 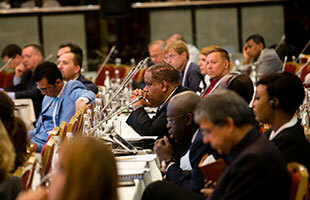 Second, it is built on the foundation of stakeholder mobilization. 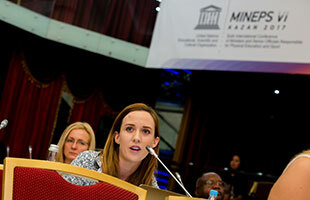 Third, the Action Plan calls for new partnership and platforms. 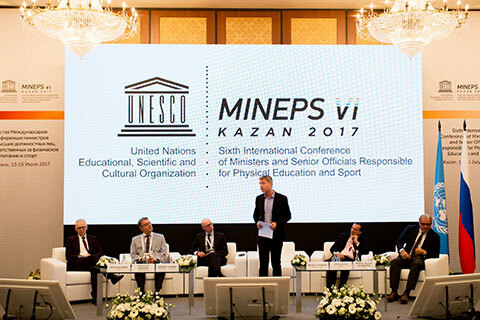 Michael also highlighted that the Kazan Action Plan recognizes the fact that sport values education and skills development in and through sport are crucial means of preventing threats to sport integrity and of ensuring the sustained credibility of sport as a role model for society at large. 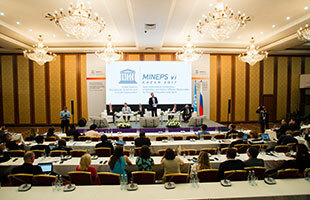 UNESCO’s official MINEPS VI website, which includes a link to the Kazan Action Plan. 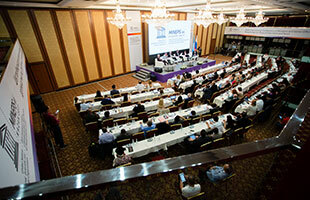 News item about Michael Pedersen’s participation in two UNESCO led expert working groups on sport integrity.